Finally ran out of money. Couldnt get to do the amazon camper force thing so had to settle for a similar job at big blue. I really dont like it...wanted part time, they told me part time , but im already scheduled 40 hours. Big retail mindset is in full effect, with what i call institutionalized stupidity. Policies for policies to govern policies. A thin veneer of fake corporate friendliness, but the sleeze shines through the cracks. Low pay offer that they are sure to tell you is non-negotiable. The 30min anti-union propaganda film. the making me clock 5 mins earlier to avoid giving me a mandatory lunch. Classifying you as a new hire for 6 months, withholding benefits for a year. But they care about you! ha! 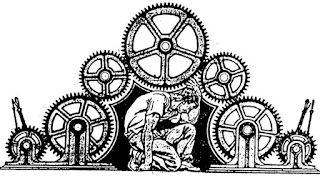 I guess im just too used to working with actual people, not cogs in an emotionless machine. Life as a labor cost.